...look at the perfect genetic twins we made!! 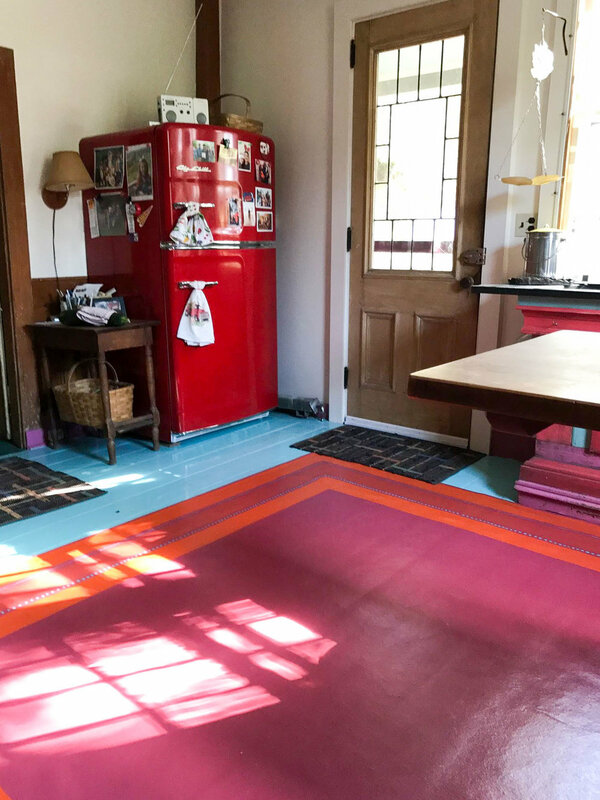 Hi Susan - I owe you these pictures from last fall - you made two Folk Floors for my kitchen. They are perfect - love them!! We're loving our floor cloths! My mat came today and I absolutely love it! It add nice color to my kitchen that was most needed. Something to brighten up each day. "Looks great. I've been getting very positive comments on them. Thanks again! Sarah"